OMG, OMG- THIS IS TOTES AMAZEBALLS UPDATE PLEASE!!!! Cool story! Thanks for the shoutout btw ;) Js (Just saying) YOU NEED TO UPDATE!!! Thx I will!! She's gonna meet someone soon and no it's not who your thinking! HI! What happened to FaceTime????? WHAT THE POOP! Favourite ANGEL bean! Is something going on that the fans don't no about?!?!?! 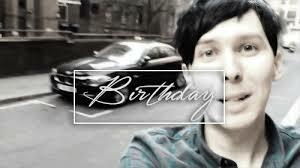 mumbled "HAPPY BIRHTDAY PHIL LESTER! <3"
I just wanna say a massive thanks to LucarioGirl951 for being an awesome person and rating my book and saying such nice thing about it! P.S. I posted chapter 5 of Dear Diary!